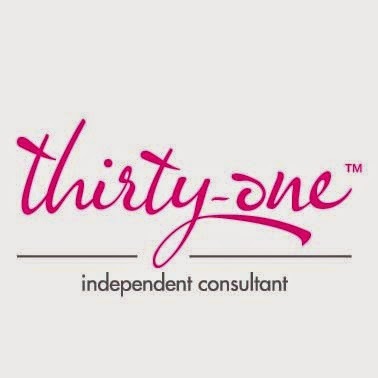 Here is a great plan for a two page spread. 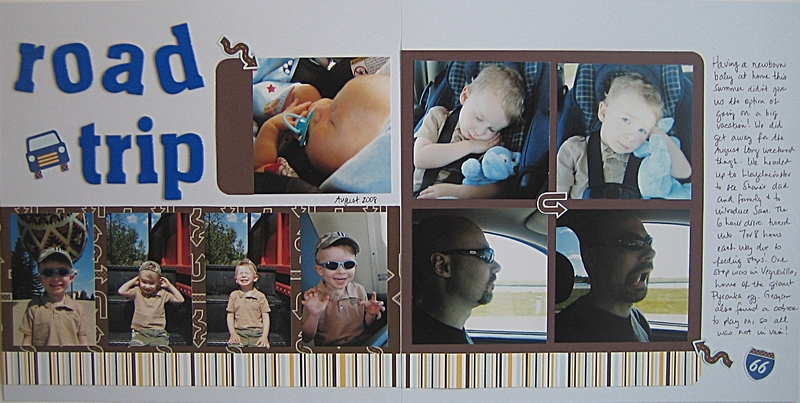 Two page layouts are useful for scrapbooking subjects that you have many photos of, as in the “Road Trip” featured sample layout. They also provide a nice sense of continuity across the two pages in an open album. 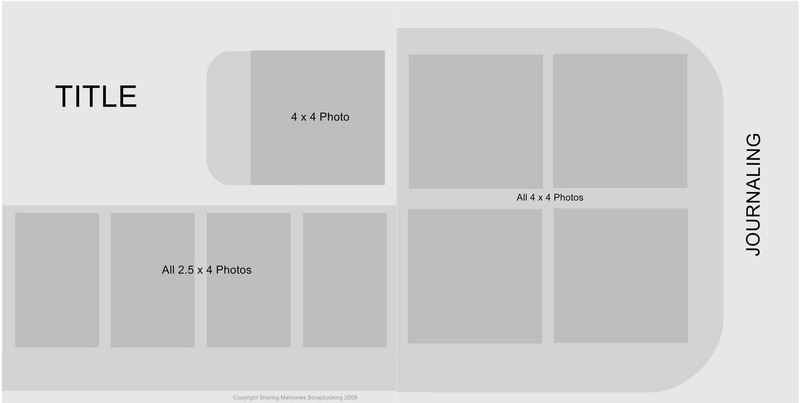 This plan provides spaces for eight photos – four 2.5 x 4 vertical and four 4 x 4 squares, a large block on the side of the photos for journaling and a good amount of white space for the title or embellishments. It is asymmetrical and the photo block in the middle spans the two pages. 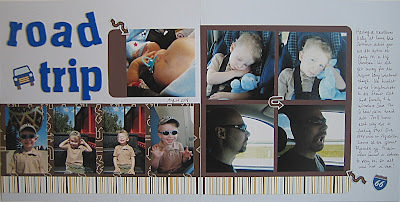 All Sharing Memories Scrapbooking Page Plans are copyrighted. Feel free to use these plans for your own personal use. If you would like to share these plans, please provide a link to this website. You may submit work to publications that have been created with our plans but please note that your work was inspired by Sharing Memories Scrapbooking Page Plans. If posting to online galleries, please also note that your work was inspired by our plans. Thanks!